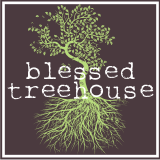 Blessed Treehouse: When we get dumped on . . .
. . . we put the kid to work. Who is in charge of shoveling your walk? *Disclaimer: My husband is always the snow-shoveler. I think I've shoveled twice since we've been married. But he enjoys it, and it appears that our son enjoys it, too! I knew it - I knew you made that kid work! :) I shoveled our walkway only to see our apt. complex actually come out on a Sat. and snow blow about an hour later. I was annoyed, but I got a good leg workout! Yes, Denise, it's a GREAT workout! In answer to your question, the apartment complex shovels my walk. If they didn't do it I don't think it would get done. Better get Henry prepared. I heard there will be another 4-8 inches tonight!